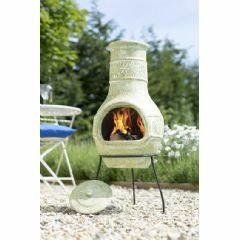 The Gardeco Opera Large Cast Iron Chiminea - 100cm Height is made from cast iron and will add warmth 360 degrees to your garden patio or outdoor space. 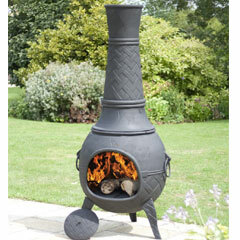 This chiminea features a cast iron body and flue cap and is easy to assemble. 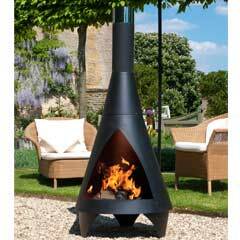 The 360 degrees vent will provide even heat dispersal, allowing a group to gather around any point of the chiminea. 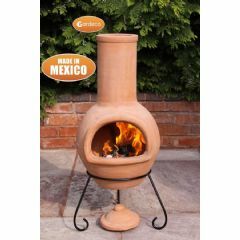 Having a chiminea lengthens the amount of time you spend outdoors after the sun sets or during the cold periods of the year. 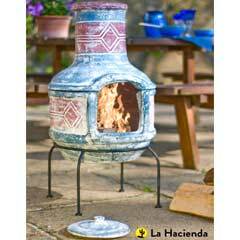 Cast iron body and flue cap. 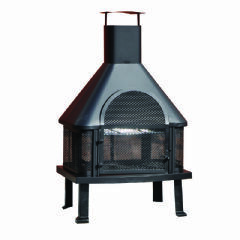 360 degree vent provides even heat. 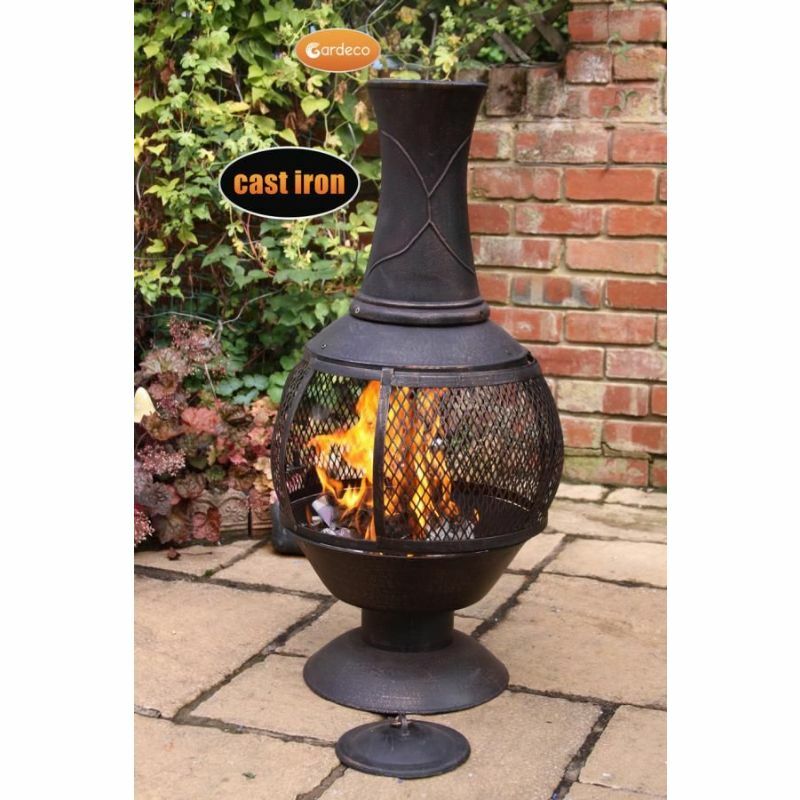 Perfect for burning wood, charcoal and coal. 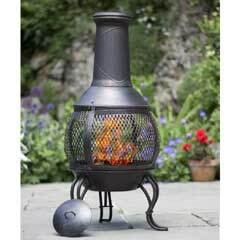 Customer Note: Remove flue cap when lighting and maintaining a fire. 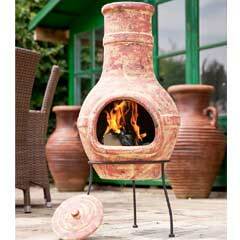 Replace when fire has been extinguished.